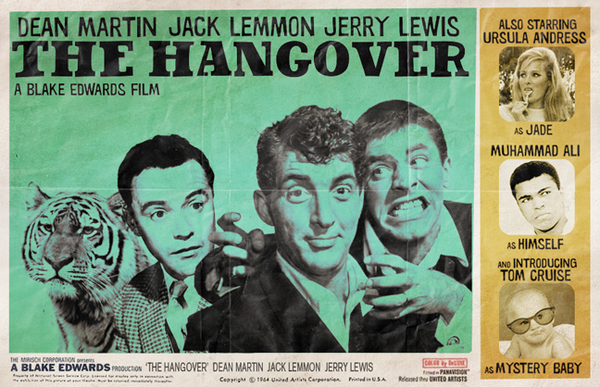 Buzzworthy ‘Vintage’ Posters for Modern Day Movies by MY COLLEAGUE… wait, what? So it turns out one of my new colleagues is famous. Peter Stults is a digital artist who works in our Annual Giving department. He just presented his work at Colette in Paris, France, this past Memorial Day weekend. Basically what he has done is re-imagine modern day movie posters with movie greats from the past. He gave us a HILARIOUS presentation on how this all went down at our quarterly meeting today. Check out one of the many articles on his work. One of my favorite workout songs of ALL TIME….